Welcome to Arizona State University and the nation’s first School of Sustainability where faculty, staff, and students are embarking upon one of the boldest, most comprehensive approaches to sustainability attempted at any university. We are engaged in a global-survival experiment, in a time when sustainable solutions must be envisioned and implemented. Sustainability is becoming an increasingly important area of research and education within the academic community as a reflection of trends in society, industry, and government. The School of Sustainability will continue to lead in the development and delivery of new interdisciplinary models of education to create the next generation of sustainability experts. The Julie Ann Wrigley Global Institute of Sustainability is already successfully engaged in collaborative relationships with colleges and programs across the University and with institutions and corporations worldwide – with the aim of creating a a talented and skillful community to address complex environmental and social challenges. 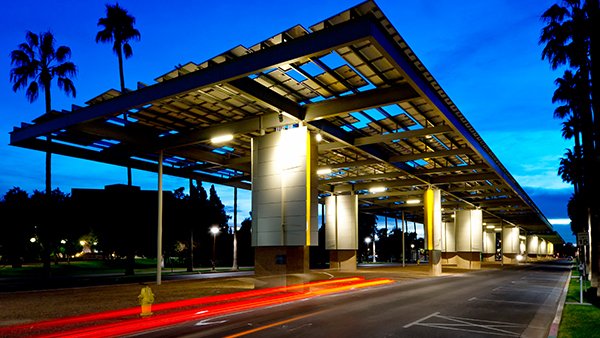 The Institute and School together lead and facilitate ASU’s commitment to university-wide sustainability. We will continue to work closely with the broader ASU community and other partners to create a comprehensive transdisciplinary approach to knowledge generation, cutting-edge research, and innovative solutions for sustainability. I welcome your contributions to our goal of discovering and creating solutions for a sustainable future.